Over the next few weeks we will be putting away all of our patio furniture, flower planters, outdoor knick knacks and doo dads in preparation for the winter months, but one thing will remain. The grill! We are year round grillers in this house. I don't care if there's 3 feet of snow outside, I'll grab the shovel, dig my way over, then fire that baby up. Why save a good thing only for summer months? 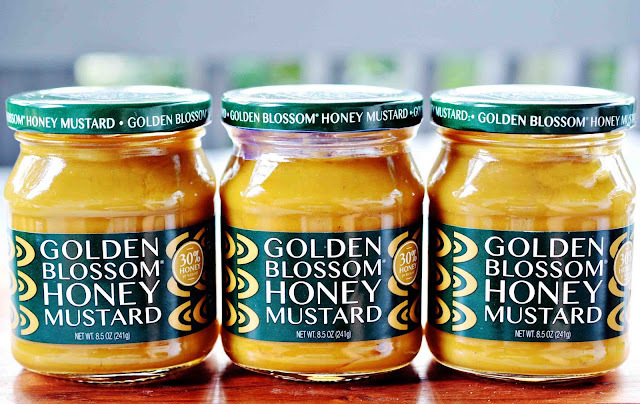 We love to barbecue, but instead of using a bottled sauce on our last grilling session, I decided to make a simple homemade sauce that I found from Golden Blossom Honey. 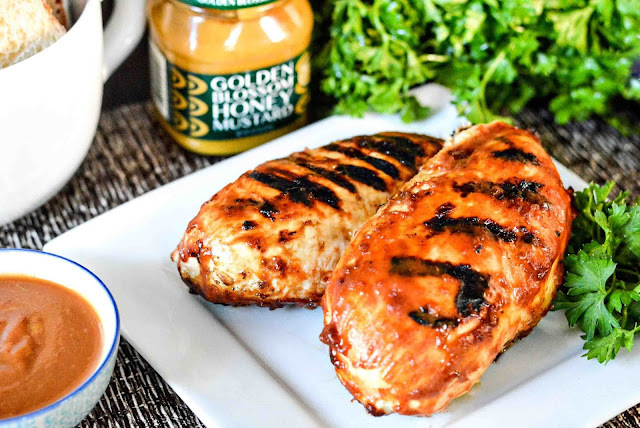 We made these Honey Mustard BBQ Chicken Breasts and they were divine! Well, Jason and the girls said they were. I grilled myself a veggie chicken cutlet from Morning Star Farms that was pretty bland, but once I basted the cutlets in the sauce, mmmmm! The sweet and tangy sauce really gives this dish a nice rounded out BBQ flavor. 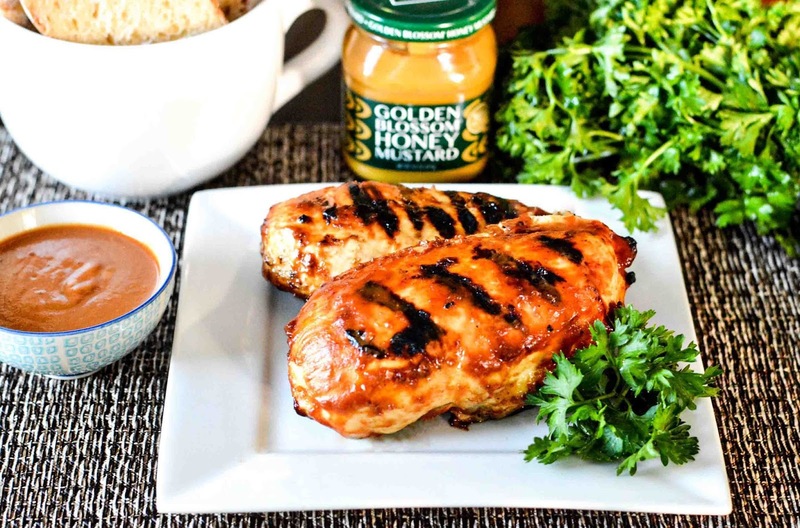 Simple ingredients that can be whisked together quickly, basted over the chicken, then fired up on the grill make the whole dish perfect for busy weeknights. Are you a year round griller or do you store your grill for the winter months? We have a fire pit that we hooked up to the natural gas line and we like to use it when it gets super chilly out, but not when the snow hits. By then all of the patio furniture has been stored away for the season. Chicken sure works for me, but that you know at my sea. That look so good! My husband uses honey all the time when he grills. It adds a nice, smokey caramelized flavor to it. This sounds wonderful! We don't really put our grill aways, but we also don't use it much during that time either. We have a covered patio, so we keep it under there. Ours is covered too, otherwise I probably wouldn't be so keen on standing outside when heavy snow is falling. We are year round grilles here too. It doesn't snow here, much less 3 feet, but my husband has stood outside in some pretty cold weather to make hamburgers. This chicken looks really good! You sure are lucky on not getting much snow! Every year I wonder if this is going to be the year we can't dig ourselves out of the snow mountains Mother Nature flings at us. I would love to give this a try! The kids and I love trying out new chicken recipes and once they hear that this is a bbq then I'm sure they'll be just as excited to try it as I am right now! I am definitely keeping this recipe! It took me a while to get used to honey mustard BBQ. I am not the biggest fan of sweet BBQ but when its done right with good spices it can be amazing. I love to grill year round, but the grill is put away for a couple of our extreme cold months. I'm always looking for new chicken recipes, and will definitely give this a try! My husband is a huge fan of honey. This is a delicious recipe! 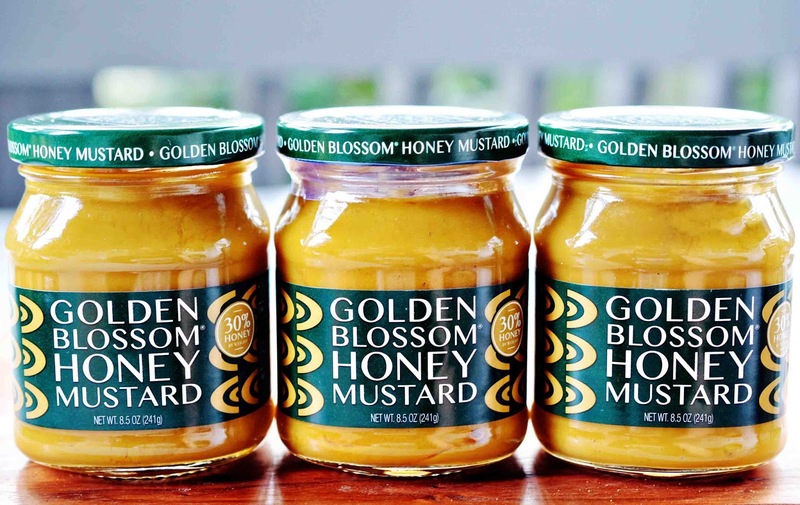 My mom used to make her own honey mustard with honey + mustard but I love how you did it! Yummy! What a tasty meal idea. My husband loves to grill and we are able to do so all year round in our area. The grill marks though... This recipe sounds delicious and perfect! I'm thankful for my inside grill and I wish I could get my hands on this brand. Any idea if they are available internationally? Unfortunately, I believe that the honey is only sold in select markets in the USA right now. Those sound delicious! I'm so sad that the grilling season is almost over! This looks delicious! MY husband loves a good honey mustard taste on his chicken! I LOVE eating chicken like this. These flavors sound like a delicious mix! This looks really good! I love the honey mustard flavor combo! We don't really store it for the winter months, we just cover it and pull the cover off when we feel like grilling. And I will definitely be trying these! Looks delicious! Thanks for the recipe. I bet this would be so delicious and I better make some before it gets to be to chilly outside to grill. Wow! My son love chicken BBQ. I will try this, he hasn't tried honey mustard before.